While many people think that going to the eye doctor is only for people who are nearsighted or farsighted and need glasses or contacts, the truth is that various ocular conditions are just as likely to send someone to their Belleville, Brighton, or Trenton optometrist. Ocular conditions have a wide range of severity, but regardless of how serious a condition may be, it helps to be under the care of a doctor of optometry that knows you and your specific optical history so that you can get the care you need. Conjunctivitis is an infectious condition of the membrane lining of the eyelids, which is also known as the conjunctiva. Since eyelids often appear swollen and pink, many simply refer to the condition as pink eye. The membrane lining is normally kept healthy with the help of tears that wash away bacteria, and even kill much of the bacteria. In most cases, it is a virus that causes pink eye, but various allergies can also play a role. Children are especially susceptible to pink eye but are usually not effected that severely. Regardless of how old you are when you get conjunctivitis it is always uncomfortable. 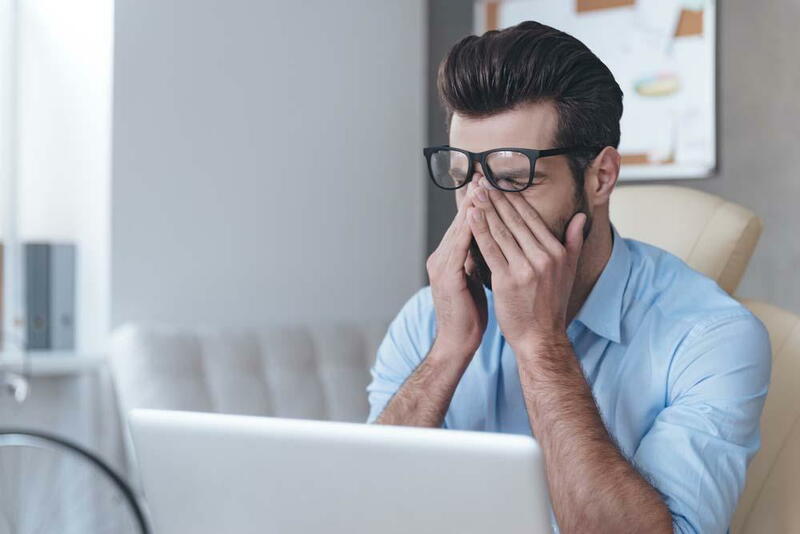 Symptoms include blurred vision, eyelids that are crusted shut, eye pain and itchiness, redness, and sensitivity to light. In order to best treat conjunctivitis, our eye doctors look at your eyes and review your history to determine whether the condition is caused by allergies, bacteria, or a virus. Cool compresses can help clean the area and remove crustiness, and in some cases antibiotic eye drops may be prescribed to facilitate healing. Dry eye is another common ocular condition and is characterized by the eyes inability to produce enough tears, or produce tears that have an irritating chemical composition. It can be a side effect of medications you are taking or a symptom of another medical condition, or a response to wind and dust or a dry climate. Usually treatment involves restoring the osmotic balance of the tears, increasing moisture in the eye with artificial tears and slowing tear drainage by inserting small plugs in the corner of the eyes. Your optometrist can also help you take care of your eyes to prevent dry eye flare ups with lid cleansers, anti-inflammatory drops and tear stimulating medications like RESTASIS. Astigmatism is a refractive error that commonly is present along with nearsightedness or farsightedness and happens when there is an abnormal curve in the clear tissue, known as the cornea that covers the eye. Normally, a corrections for astigmatism is written into an eyeglass or contact lens prescription. In some cases, it can also be fixed surgically. Unlike many other conditions we treat, patients often have no suspicion of the presence of glaucoma unless in is discovered by their eye doctor. It's one of the main reasons to see an optometrist on a regular basis. It is caused by nerve damage resulting from the buildup of pressure on the optic nerve, that results when the passages that drain fluid from the eyes become blocked, resulting in the loss of peripheral vision. The retina in the part of the eye located in the back which communicates with the brain. Some common retina issues include retinal detachment, diabetic retinopathy, and Age related macular degeneration. (AMD). Seeing floaters, little spots in your vision that look like bugs or spots can be an early sign of retinal detachment. Diabetic retinopathy happens sometimes to diabetics when blood vessels in the retina are damaged, Macular degeneration is most common in older adults and leads to damage to the macula, the central part of the retina. Maculardystrophy will gradually cause the loss of the center part of a person's field of vision if left untreated. It's important that anyone who suspects any of these optical problems see an optometry specialist as soon as possible. Whether you are feeling discomfort in your eyes, are having troubles with your vision, or are just due for a check up, come visit us at one of our three locations. Contact Dr. Bruce D. Coward & Associates Optometrists, Quinte Optometric Clinic in Ontario in and ask about our Comprehensive Eye Health Exam.